Acclaimed by Virden's The Empire-Advance as one of the finest and best equipped opera houses in Western Canada, the Auditorium has a handsome interior and superb acoustics. It was constructed in l9ll–l2 as an addition to the existing fire hall by local contractor William Thomas Manser from designs by noted Brandon architect William A. Elliott. The "Aud" opened on February 29, l9l2. 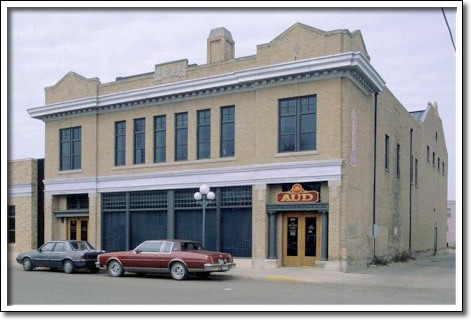 As well as serving as the home of the Virden Dramatic and Operatic Society and the Virden Orchestra, it soon became the social and entertainment centre for the performing arts in western Manitoba. The unusual combination of municipal offices, courtroom and theatre has made this building a provincial landmark. After the demolition of the fire hall, the Auditorium was restored through community efforts during l982–83. The Municipal Building was subsequently renovated by the Town of Virden.